Brian O’Dell represents financial service providers in regulatory, enforcement and litigation matters related to mortgage servicing, mortgage origination, credit cards, debt collection and title insurance. He assists clients in navigating regulatory issues and potential liability by ensuring that their operations are in compliance with federal and state consumer financial protection laws and that they are able to successfully demonstrate their compliance to federal and state regulators, including the Consumer Financial Protection Bureau (CFPB). Brian routinely handles regulatory examinations and administrative enforcement actions commenced by various regulatory entities, including the CFPB, the Office of the Comptroller of the Currency, the Federal Reserve Board, the U.S. Department of Housing and Urban Development, the Department of Justice, the 50 state attorneys general, and state banking and financial regulators. Most recently, Brian has advised some of the nation’s largest financial institutions in preparing for and managing CFPB examinations, including examinations on Compliance Management Systems, Servicing, Credit Cards, Debt Collection, Sales Practices, Reverse Mortgages and Know Before You Owe. This work includes risk assessments, responding to information requests, self-disclosing issues, and responding to PARR letters and other supervisory letters. Brian’s litigation experience includes representing financial institutions and insurers nationwide, including handling class actions in Alabama, California, Florida, Illinois and Nevada. He is licensed in eight states and has litigated cases involving causes of action of TILA, RESPA, FDCPA, FCRA, RICO, predatory lending, mortgage-related fees and services, title insurance, wrongful foreclosure, and state deceptive trade practices law. 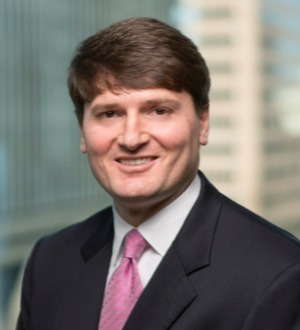 In addition, Brian has litigated all facets of the financial services industry, including origination, warehouse lending, loan repurchase disputes, pooling and servicing agreements, servicing disputes and mortgage fraud. Brian is an Accredited Mortgage Professional and has taught for a number of years for the Mortgage Bankers Association. He routinely teaches the Advanced Servicing Workshop and Schools of Mortgage Banking I and II, specifically focusing on laws affecting the mortgagee’s interest in property, regulatory compliance and ethics. Since 2013, Brian has taught Secured Real Property as an adjunct professor at the University of Alabama School of Law in Tuscaloosa, Alabama. Brian previously chaired Bradley’s Business Development and Marketing Committee and led the strategic rebranding efforts of the firm, including a new logo, signage, refreshed website and advanced technologies. He currently is Bradley’s Litigation Practice Group leader.